Journal of Pharmacy and Allied Health Sciences is an international journal, provides the forum for reporting innovations, technologies, initiatives and the application of scientific knowledge to all aspects of pharmacy, medicine and health sciences. Scope of the journal covers: Pharmaceutical sciences, pharmacognosy, natural product research, pharmaceutics, novel drug delivery, biopharmaceutics, pharmacokinetics, pharmaceutical/medicinal chemistry, computational chemistry and molecular drug design, pharmacology, pharmaceutical analysis, pharmacy practice, clinical and hospital pharmacy, pharmacogenomics and biotechnology of pharmaceutical interest. 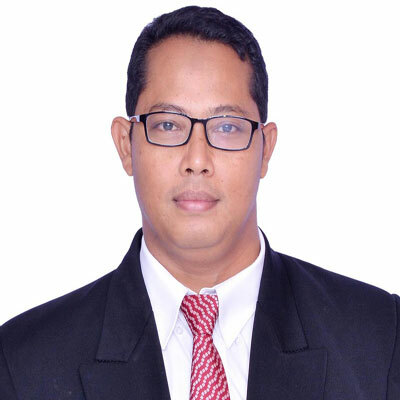 Dr. Abdul Rohman is a Professor at Department of Pharmaceutical Chemistry, Faculty of Pharmacy and Integrated Research and Testing Laboratory, Gadjah Mada University, Sekip Utara, Yogyakarta, Indonesia. He completed his PhD in 2011 in Halal Food Analysis at Universiti Putra Malaysia, Malaysia. He published 101 academic writings in national and international journals and his 9 research papers are under revision. He also presented 11 papers in symposiums and seminars. He published 2 book chapters, 16 textbooks as author/co-author and translated 1 book. He is serving as Editor/Reviewer in more than 15 journals. His prior work experience includes Lecturer (Academic staff) in Department of Pharmaceutical Chemistry, Faculty of Pharmacy and Supervisor for chemical testing in Integrated Research and Testing Laboratory at Gadjah Mada University. He was also invited as Guest Lecturer/Speaker at different universities. He supervised and co-supervised 18 post-graduate students. He received awards including The first runner of Prosper.Net-Young Scopus award in sustainable Agriculture 2014, Sebagai penulis publikasi Internasional terindeks Scopus dengan tingkat sitasi terbaik di level UGM tahun 2013, Anugerah Kekayaan Intelektual Luar Biasa (AKIL) 2014 untuk kategori Karya Cipta Ilmu Pengetahuan (Publikasi) dari kemenristek Dikti, Republik Indonesia and Insan Berprestasi Universitas Gadjah Mada 2007 dalam bidang penyiapan laboratorium terstandardisasi. Publishing your research in Journal of Pharmacy and Allied Health Sciences is simple and efficient. You will be guided through the submission process step by step. Before submission of your manuscript, it is strongly recommended to read Guide for Authors to minimize the chances of manuscript rejection.